I sell this on eBay for $74 or buy direct for $69. Shipping is $8 within the US or $16 outside. This adapter will control the following tape transport controls: Play, Stop, F.F., Rewind, Record as well as Zloc, Loc start & Timer Reset. Includes a DirecTV universal remote which includes batteries and is preprogrammed to work with the remote receiver. 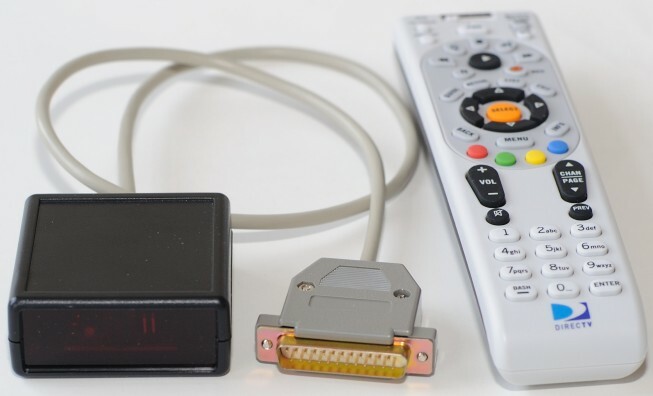 A pair of jumpers inside the remote adapter allows you to select between four different remote codes in case you have a conflict with an existing Sony VCR or if you want to have multiple remote adapters in the same room. To program the DirecTV Remote first slide the switch at the top of AV1 or AV2. Press and hold the MUTE and SELECT buttons until the green light at the top blinks twice then release. Using the number keypad enter the 5 digit code from the table above. If done correctly the green light will blink twice after the last digit is entered. 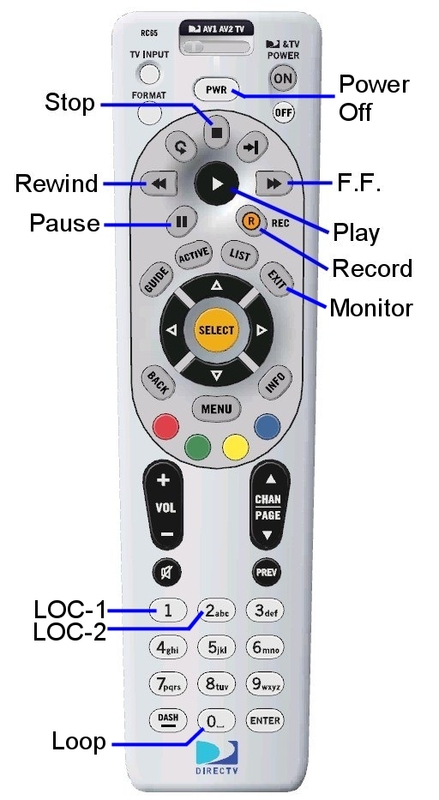 Note: On the remote the Record button must be double pressed to activate the function. The full manual for the DirecTV remotes can be found DirecTV Remote.